When a loved one dies, keeping their memory alive is important to their survivors. But how do you keep someone's memory alive? How can you help others see how wonderful your mother, friend, uncle, or other loved one was and how much they meant to you and to others? 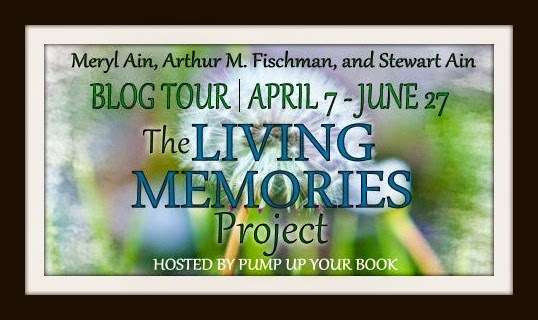 The Living Memories Project: Legacies That Last by Meryl Ain, Arthur M. Fischman, and Stewart Ain offers many ideas through the stories of a wide range of individuals who have found ways to keep their own loved ones' memories alive. From scholarships to holiday traditions, poetry to quilts, people who have lost loved ones share the ways they keep their memories and legacies alive. Each chapter is written by a different person, most of whom are not authors. They share stories about their loved ones and the ways that they keep their memories alive. As with any book written by several authors, The Living Memories Project has some chapters that are excellent and some that aren't quite up to par from a writing perspective. But the stories that are shared are, for the most part, endearing and inspirational. "My advice is the same for those who have lost as it is for those who haven't: Whether your father is a talented artist or not and whether you have career aspirations or not, write a song or do some other satisfying endeavor. It's good for the soul." Overall, this was an interesting compilation of stories about keeping our loved ones' memories alive. I highly recommend it for anyone who is looking for ideas on how to remember their loved ones and share their legacies. This review was written based on a copy of The Living Memories Project that I received from Pump Up Your Book in exchange for an honest review.